Spring season is finally here. For homeowners, this means completing a few simple property maintenance tasks that are very critical to maintaining their home’s value. Below are some of the services that need to be completed in order to ensure full protection of one’s property. – Have your HVAC system inspected and serviced. – Prevent corrosion by inspecting and flushing the water heater. 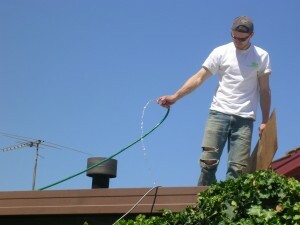 – Clean the gutters to avoid clogging. – Check the roof for any damaged or missing shingles.